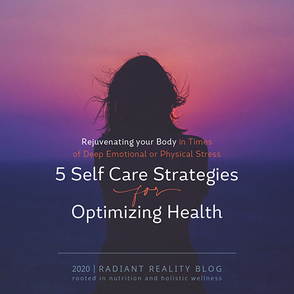 Welcome - Radiant Reality | Nutrition. Healing Arts. Inspired Living. 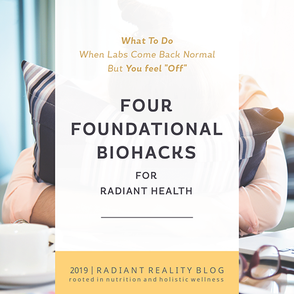 Radiant Reality Nutrition supports the whole being using bio individual nutrition so you can reclaim your health and vitality! 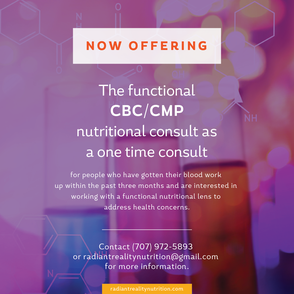 Functional Diagnostic Nutrition (FDN) is an emerging field and body of work that is focused on investigating and identifying underlying causes of imbalance and dysfunction in the body. FDN is a likened to a form of holistic "detective work". With the interpretation of functional lab work, FDN is looking to identify hidden stressors and seeks to support the bodies innate mechanisms for healing in a holistic manner. My specific interests lie in working with healing the gut as most imbalances in the body are intricately connected to gut health.